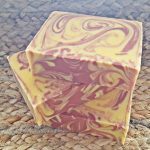 Short Product Description: All natural handmade soap bar made with goat’s milk, virgin apricot oil and shea butter. 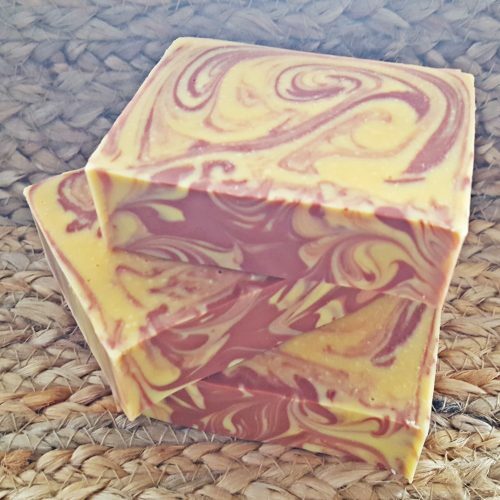 It is scented with the natural aroma of bitter almond essential oil, which has the sweet aroma of cherry almond. Lather up with an all natural handmade soap bar made with goat’s milk, virgin apricot oil and shea butter. 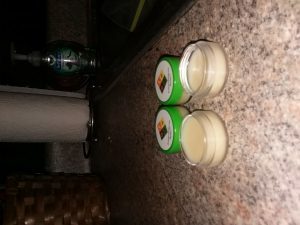 It is scented with the natural aroma of bitter almond essential oil, which has the sweet aroma of cherry almond. The color is natural, made from red reef clay and red palm oil. This bar has a moisturizing creamy lather.